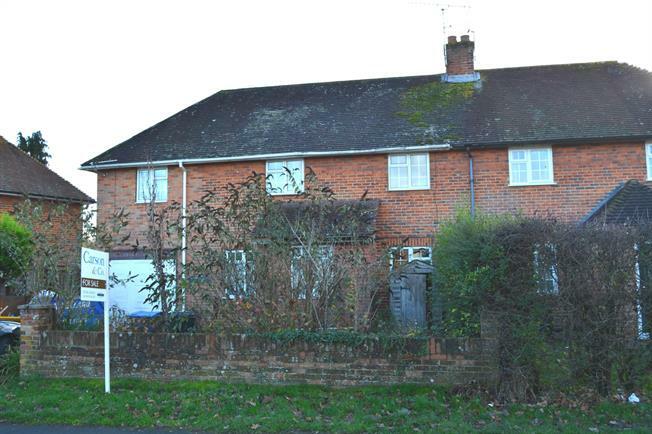 3 Bedroom Semi Detached House For Sale in Hook for Offers in excess of £300,000. An extended three bedroom semi-detached property now offering potential to update and improve throughout. The property offers good family accommodation including three good sized bedrooms to the first floor and a bathroom with separate shower cubicle. The ground floor comprises porch, reception room with fireplace and doors to the garden and a kitchen/breakfast room also with door to the garden. Outside there is a driveway providing parking and an integral garage and the rear garden enjoys a south westerly aspect.